Gilroy All-Comer: meets are also being held on Dec 1, 15 & 29. Gilroy AC Results. All-NorCal Teams: As voted on by a panel of NorCal coaches - here is the All-NorCal XC Teams. Old School Mile: had 36 soles signed up to run with 9 age group records set or broken. Run For The Dream: Jan 21st there will be an indoor meet in Fresno featuring a north vs central vs south track team. Home Page. To the left is the list of BOY runners representing the North - it will be finalized by Jan 1st. Gene Burinskiy: The Banana Man. All-CCS Teams: As voted on by a panel of CCS coaches - here is the All-CCS XC Teams. All-County Teams: San Jose Mercury News released their All-Santa Clara County XC teams. HyTek School Codes: Coaches/Meet Managers and anyone else that uses HyTek - from Hal Harkness, these are the updated school codes for the upcoming 2008 Track season. No Lyrics in Music: For the SCVAL only - voted on by the AD's - "All music played at all athletic contests at SCVAL schools may not contain lyrics." West Valley JC: Is hosting a Track & Field Clinic on Jan 12th. Skyline All-Comers: Starts Jan 5th and runs every weekend in January. AJ Flint (Lynbrook): wins the Woodside Trail Run in a Course Record time. These events are NOT for the faint of heart. 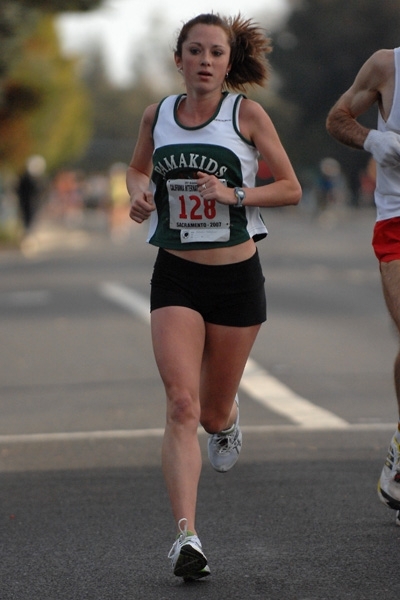 Michelle Gallagher (SHC '03): finished 5th at CIM on Dec 1st with an OT qualifying time of 2:43:32 and ending up only with a couple of blisters, and $500 as well. CCS Post Season minutes: These are unofficial but this is something that could affect all leagues in the CCS. SCVAL Post Season Meeting: at Double D's Sports Grill on the corner of North Santa Cruz and Hwy 9 in Los Gatos at 4:00. Minutes Here. State Meet: Lauren Tang takes 93rd at States. Pix Here. Lynbrook End Of Year Party: Congrats to all Vikes and the award winners - what a great season. CCS Finals: Saratoga News story does a fine job highlighting the CCS Finals. Homestead HS: is looking for a Jumps coach for track - contact Kenrick for more info. Secret Pals: Lynbrook - your Pals are here. 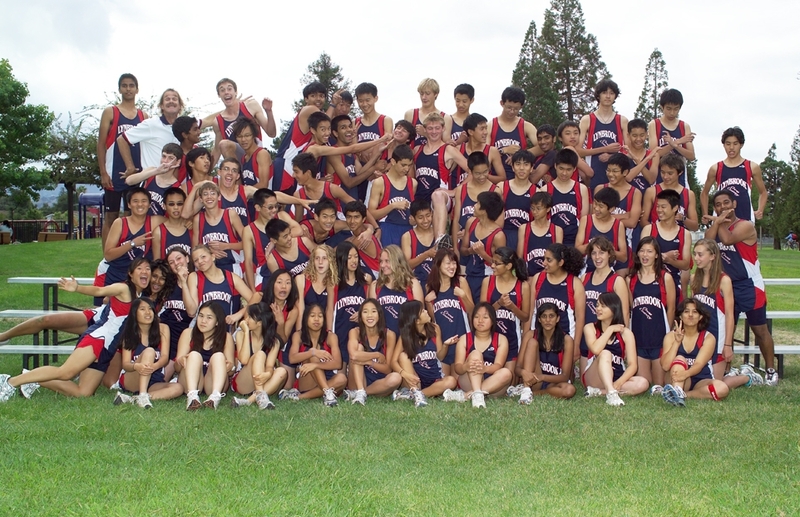 Los Altos HS: is looking for a Jumps coach for track - contact Robyn for more info. K-Bell Track Classic: Has just added an Invite 5000 for both Boys & Girls for 2008 - check out the new Time Schedule. Hero: This guy goes through a lot of paint brushes in 7 minutes. Mercury News HISTORY Class: on Lynbrook High School this week. Mercury Athlete of the Week: Jennifer Bergman (Valley Christian SJ). CCS Finals: Lady Vikes break their own School Record by over 2 minutes (98:47) while taking 13th overall in combined scoring. Lauren Tang (09) qualifies for States. Eric Surprenant takes down 10 in the last 400. Pix Here. VG Div 2 Video. DAL Finals: Saratoga News story does a fine job highlighting the DAL Finals. Pasta Feed: at the Flint's - thanks everyone. Crystal Springs Course: Write up on CS by the Half Moon Bay Review. Crystal Springs CR? : Mohamed Abdalla (Willow Glen) will be going for it this weekend at the CCS Finals. 1600 Time Trial: For Lynbrook with some Saratogans in there as well. MacQuitty Vs Rowe: Write up on the great race finish. Mtn View & Gunn: get some coverage from the Mercury News for their XC teams. 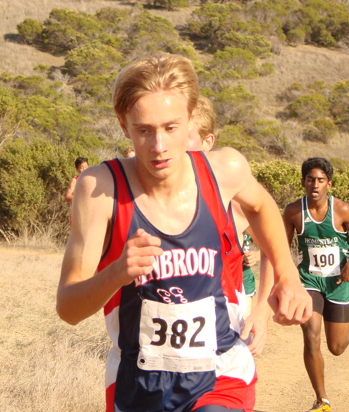 Los Gatos: is holding a Special All-Comer meet on Nov 15th for all non-State XC qualifiers. Mohamed Abdalla (Willow Glen): SJ Mercury Athlete Of the Week. Stephanie Barnett (Leland): SJ Mercury Athlete Of the Week. Artichoke Pictures: Chris Carter (3rd) leads the Vikes to a heartbreaker 1 point loss (28-29) to Grace Davis in the JV Boys race and the JV Lady Vikes also take 2nd. F/S Boys take 2nd and the F/S Girls nab 6th. VG take 3rd while the boys take 4th. Lynbrook enjoying the Pumpkin Patch on the way home (heck, it beats the traffic). XCStats.Com: Coaches-XCStats just keeps coming up with new reports. Check the one out on the left... it has all of your runners times on every course they ran for the season, has their team rank, has their team average, tells you how many races they PR'd in (the specific race report will tell you who PR'd and by how much), their average pace for each race, it just keeps on going. You can sort the report by any column - I love this stuff! Rallye Run Results: The 14th Annual Rallye Run had the ladies triumph over the guys for the 4th year in a row. A 3 pt late penalty (and some quirky questions) cost the guys the win. Stephanie Barnett (Leland): is all smiles when she runs. Saratoga Scrimmage: is covered by the Saratoga News - thanks guys for the press. And a second article as well. VG Race Video. Course Time Converter tool: Is back thanks to Charlie Rettner (the author). I will take over the maintenance of the code so if you have any corrections/additions, let me know. Charlie Avis (Palo Alto): Top notch cyclist as well as XC runner. Philip MacQuitty (Palo Alto): Running With Fire. Nice article on MacQuitty. Michael Kanning (Homestead): Ultra For A Cure. This Homestead HS XC runner is putting in big mileage to help fight cancer. To iPod or Not to iPod: that is the question and the topic of this Mercury News article. How do you coaches feel about them? Do you allow them at your practices? Arlie Krigel (Gunn): He and Gunn HS get some good press on local TV - Go Titans. Lynbrook XC Fundraiser: at Jakes (Sunnyvale) all day Thursday (9/13). Print off the flyer on the left and bring with you so Lynbrook XC will get 20% (Pepperdine or Bust!). 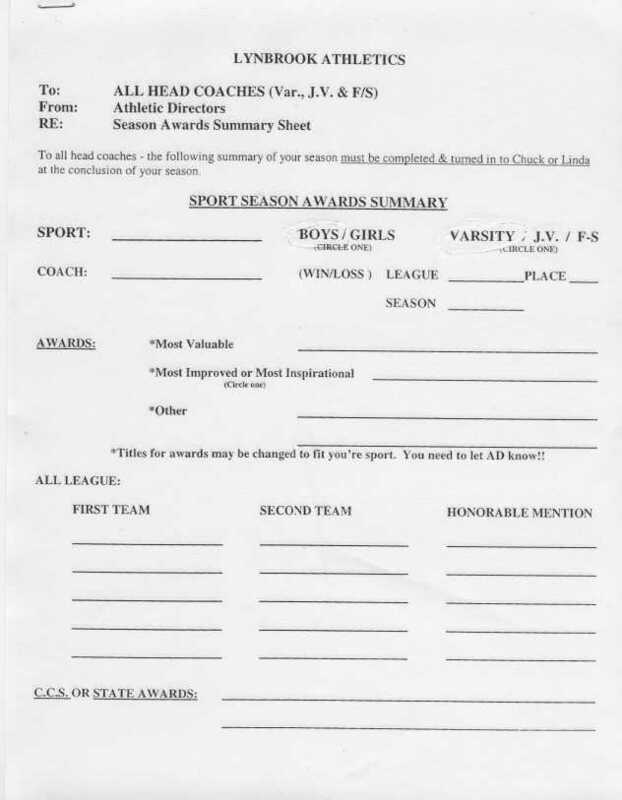 Nomination Form: CIF creates a Parent Advissory. SCVAL Pre-Season Coachings meeting: To be held on Sept 4th at 5:00 at the Wilcox HS teachers lounge. It's A Wonderful World: It�s amazing what ONLY two hands can do. LG All Comer: Weekly RESULTS (08/09) from the All Comer meets (thru 08/09), starting June 21st thru Aug 9th. Track Clinic: In case you want to put this on your calendar - West Valley JC will be putting on a track clinic at the college campus, on Saturday, January 12, 2008 for all levels of coaches. Sports Physical: Seems like a pretty good deal if you need a physical. FOX Athletics: Will be holding their summer training camps in both the North & South Bay - spots still open - signup deadline is Thur (July 26th). Carousel: Time for that shameless plug I always do. I open in 'Carousel' on the 27th of July. Come see me sing, dance and be the 'bad guy' in this show. CCS Teams at State: Ever wonder how your team ranks against other CCS teams from the State Meets at Woodward Park? Compilation courtesy of chrysafeniosquince.org. California Coaches Alliance: Is having a clinic on July 28th at Canyon Middle School (NorCal) for only $35. Reality Track TV Game Show: Ex-Mitty 400m runner Julia Dudley (#98 on CCS All-Time 400 list) has come up with a Track Reality Show - tryouts will make a stop in San Jose. Gordon MacMitchell (Gunn)-CCS 2 mile Meet Record Holder (9:01.8 2mi): Came across this article while scanning Plato's library... he did this the summer before his Soph XC season started (1970). I knew he was running 15 a day, but I hadn't heard this story before. SJCC All-Comer Track Meets: Started on July 7th at 6:00pm (5:00 for Field) and continue every Sat thru July 28th. Entry is $5 (free for spectators). Los Gatos Men's Coach: LG has an opening for a Head Men's Coach for both X-C and T&F. Coe Vs Ovett montage: Great clips of these two going against each other and the World Record. Lynbrook Summer Runs: Photo album from all of our summer runs. Steve Nelson (MP): is the DyeStat Regional Coach of the Week. Conman at Paly: Whatever happened to the 26 yr old runner that passed himself off as a 16 year old at Palo Alto HS in 1985? Summer Runs/Races: at Joaquin Miller Park in Oakland (Aug 15th & 22nd). Running Shots: TONS of photos of the greats - especially Pre, Nelson & Hulst when they were in HS. Oldtimers will really love this site. CCS All Time Top 100: See how the Class '07 did against the All-Time bast in CCS. OK - so now I'm done with track - bring on XC! Medical History Form: FUHSD Coaches & Athletes - a new form that will need to be filled out this upcoming year. CIF Certification: New State coaching certification is coming. Must be completed by Dec 2008. FUHSD Coaches click here for more info. Up & Running: Is a new shoe store opening up on the Cupertino/Los Altos boarder that is run by Carlos Siquieros (Aggies) and ex-St Francis runners Ben Sitler & Kevin Chavez - check it out. 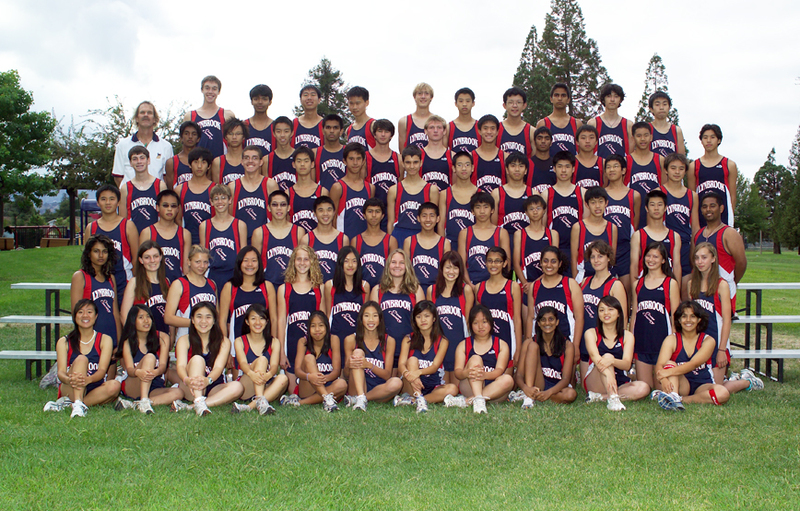 De Anza JC: Is looking for a XC/Track coach. The position is currently part time but may turn into full time within the next 2 years. Contact Kulwant Singh for more information. 2007 Track: Still looking for 2007 Track results (GWI, NON,...). This Day In Athletics: Something cool. You can see what TRACK or XC thing happened today or any day you plug in.